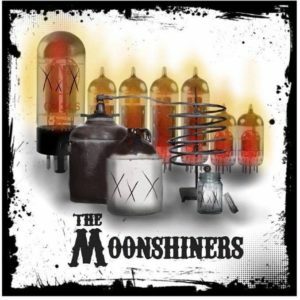 Armed with a love of Rocket From The Crypt and (the) Misfits, Peterborough punk ‘n’ rollers The Moonshiners are set to slap you in the jaw with a potent, riff-heavy sound on their untitled 2017 EP . Their self-financed release serves up half an album’s worth of raw and dirty noise and couples the best riffs with a few top-notch hooks, which results in an unmissable listen for fans of the style. Aside from a brief spell in the early 80s when Stray Cats, The Jets and The Polecats managed to break into the UK top forty singles chart, rockabilly has never truly been in fashion. That said, it’s never been out of fashion, either; over the decades, it’s retro and surprisingly enduring style has caught the ears of many, often providing a genuine alternative to the relative mainstream of punk. 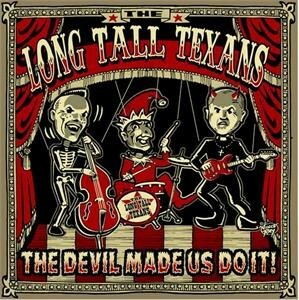 Rockabilly’s undying spirit has rarely been captured in better form than on The Long Tall Texans’ 2014 release ‘The Devil Made Us Do It‘ – a record that showed how a band three decades into a career could still sound vibrant and how the attitudes of rockabilly had such potential to cross into punk audiences. When done well, rockabilly can be thrilling; when missing the mark, it can sound too predictable to the point of tiredness, but whatever the outcome, the constituent elements are often the same: hefty rattling basslines; walking grooves from the reverbed guitars and a flippant and sometimes edgy voice. 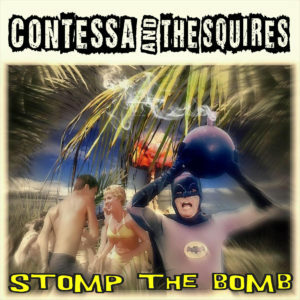 Occupying a musical space somewhere between noisier rockabilly revivalism and the more accessible end of the psychobilly movement, Italian outfit Contessa & The Squires very much bring a party atmosphere on their third EP, 2016’s ‘Stomp The Bomb’. On these tracks, they don’t just stomp, but twist and shake with a whiskey-fuelled retro cool that should appeal to those who loved the Stray Cats, Polecats and The Jets back in 1981. If you’re approaching this hoping for a Meteors or Brains level of intensity, however, it’s very much time for you to step aside. The Squires are high energy, but in direct comparison to some of the scene’s more intense bands, accessible melodies are far more at the forefront here. In the early 80s, rockabilly music had a real resurgence. While Brian Setzer and The Stray Cats represented the commercial side of things, a year or two from their breakthrough, they were just one of about a hundred upright bass slappin’, retro haired combos tapping into a musical past. Boz Boorer’s Polecats, The Meteors and many others were making noises and The Klub Foot club became a hive of activity for fans seeking out these high energy sounds. 1982 also saw the formation of The Long Tall Texans.